Let us start our Buffered VPN review by noting that they are a relatively new provider in the VPN space. 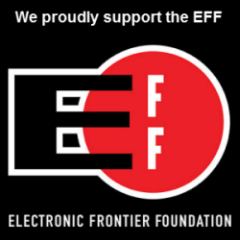 While living in Budapest in 2014, a group of international friends (a Hungarian, an American, and an Englishmen) decided to launch a VPN service to help everyday users recover their Internet privacy, improve their online security, liberate themselves from arbitrary geographic restraints, and overcome restrictive firewalls. Thus, was Buffered VPN born. Headquartered in Budapest, Hungary, they are not under the influence of the US or the UK, but rather under Hungarian and EU jurisdiction which have data privacy laws for individuals. Their service supports only the OpenVPN protocol because they believe it is the most secure and best VPN protocol. Therefore, they do not provide support for either the PPTP or L2TP/IPsec protocols. So what do you get when you subscribe to Buffered VPN? They have a network that consist of servers in 28 different countries spread throughout the world. You can use their service on Windows, Mac OS X, Linux, iOS and Android platforms. They have custom client software for Windows, Mac OS X, and Linux that will help you configure and use their service. Buffered VPN offers fast speeds, unlimited bandwidth usage, infinite server changes, and five simultaneous connections from anywhere in the world. Buffered VPN pricing structure is similar to many others in the industry. They offer three different packages of their VPN service. These packages are discounted based on the term of service and include one month, six months, and 12 months. Their prices start at 12.99 for a month of service. You can get six months of their service for $59.54 or $9.99 per month of service. Finally, if you subscribe for a year of service, the price is just $99.00 or just $8.25 per month. Buffered VPN offers two different ways to pay for your subscription. You can pay by credit card using either VISA, MasterCard, or Discover. Credit card transactions are processed through Braintree, a Validated Level 1 PCI DSS Compliant Service Provider so you can be sure your personal financial information is always secure. You can also pay using your PayPal account with just your first and last name. Bufferered does not offer a free trial but they know you would like to try out their great service for yourself. Therefore they offer all new subscribers a 30-day money back guarantee. If for any reason, technical or otherwise, you are not completely satisfied with their service within the first 30 days from original payment, they will refund your subscription fee. There are some conditions placed on their guarantee. You cannot have exceeded 100 sessions and/or 10GB of bandwidth usage during this period. We are not fans of conditions placed on money back guarantees, but Buffered VPN’s conditions are more reasonable than some. Still, be aware that such conditions do exist and must be factored in while testing their service. Although Buffered VPN has no servers in Africa, they do have servers in Spain, Italy, and India which are in close proximity. Similarly, they have no servers in South America but they do have servers nearby in Mexico. So, as you can see Buffered VPN high speed servers can be reached from about anywhere with Internet access. Their network uses shared IP addressing to help anonymize their users. Their VPN service only supports connections that use the OpenVPN protocol. To make it easy for their users to configure and use their service, They provide clients for their Windows, Mac OS X, and Linux users. Users of iOS and Android platforms will need to install OpenVPN for Android or OpenVPN Connect from their respective stores and download the OpenVPN configuration files from the dashboard of the Buffered VPN website. Your registration data and your login data. We also store the amount of data being transmitted during the connection. We do not as a matter of ordinary practice store private information about individual user activities on our network, such as emails, chats, VOIP calls, websites visited, etc. We store information about the duration of the connection but never information about what the user does during the connection. We store and process this data generally for 30 days computed from the last use of our services or from the termination of this agreement. Due to taxation laws, we are compelled to store your name and address longer. We store and process these data for the purposes of the present agreement and do not pass your data on to third parties except to our own data processors, for technical reasons. We do not intentionally disclose any private electronic communication or personal customer information unless required by Hungarian law. By using our site, you consent to such processing and you confirm that all data provided by you is accurate and not misleading. As you can see from the above disclosure, they do keep some meta information about total usage and connection duration for a period of about 30 days. This allows them to carry out daily operations for the service and provide their users an optimal experience while using it. When it comes to securing your data and online privacy, Buffered VPN has you covered. They say they only support the OpenVPN protocol on their service because it is more secure than either PPTP or L2TP/IPsec. It is also a very versatile protocol which now has support for most types of devices. Their service supports OpenVPN on the Windows, Mac OS X, Linux, iOS, and Android platforms. It can also be run on DD-WRT and Tomato routers. This way, all of your traffic on all of your devices connected to your VPN enabled router will be encrypted and protected by the VPN service. Buffered VPN uses Blowfish CBC 128-bit to encrypt all of your data while connected to their service. Data authentication is through HMAC SHA1 160 bit. The initial handshake and subsequent transfer of cipher between the server and the client is through TLSv1/SSLv3 DHE-RSA-AES256-SHA, 2048-bit RSA. This means all of your Internet transactions are encrypted and secured against prying eyes now and in the future while using the Buffered VPN service. We complete our Buffered VPN review with some hands on testing of their new beta client software to see how easy it is to set up and use, as well as, test its overall performance. I would like to start by saying that Buffered did well in our speed test. Buffered VPN has custom client software for both Windows, Mac OS X, and Linux. They have also just released new betas for Windows and Mac OS X. They provide step-by-step guides for configuring their service with the OpenVPN protocol for iOS and Android devices. They also have guides to configure DD-WRT and Tomato routers for OpenVPN to use their service. Now let us take a look at the new custom beta client for Windows that will let you connect to any server in the Buffered VPN network using the OpenVPN protocol. We were given special access to review this new beta. Once you have downloaded the Windows client setup file from their website, then you will need to run it to start the installation procedure. The installation starts with the welcome screen shown below left. Clicking next on the screen will bring up the EULA which you must accept then click next. You will see a few more setup and configuration screens then installation of the client will begin. Once the installation has completed you will see a screen like that shown on the right below. When you click finish on this screen the Windows client will launch. You will then see the login screen which is shown below left. Enter in your login credentials (username and password) and click on the green login button. This will bring up the main Buffered VPN connection screen (below right) where you can select the country that you want to connect to. The countries in the server list are in alphabetical order. If you can not log in for some reason, you can click on the need help link on the bottom right of the login screen which will bring up a need help window like that shown in the center image below. This window has two links to help you with login issues. For general issues select the support page link. If you forgot your password, click on how to recover it. This is a nice feature to help those with login problems. You can also register for an account from the login screen if you do not yet have one. Another nice feature that the Buffered VPN client has is that it lets you select your favorite countries to connect to and moves them to the top of the list so you can easily see them. The image below left shows four countries selected as favorites: Great Britain, Mexico, Singapore, and the US east coast. Simply right click on the grey star beside the country in the server list you want to make a favorite and it will immediately be moved to the favorites list. This is illustrated in the center and right images below. All favorites appear with yellow stars beside them. Connecting to a Buffered VPN network server is as easy as clicking on the country you want to connect to. This process is illustrated by the three screenshots below. The image on the left shows the disconnected client. Selecting the US East Coast results in the middle connecting screen. The last image on the right shows what the client looks like once a successful connection has been established. Once you have connected to the VPN server, you will see its location, the upload and download speeds and total bandwidth used for each, and the IP address assigned to you by the server. Our DNS leak test run while connected to the Buffered VPN network did not show any leaks. Buffered says that each of their VPN servers has its own DNS server which you use while connected to that server. These servers do not do log any DNS information. The main difference between tcp and udp is that tcp is a delivery protocol that guarantees that the packets are delivered in the order they were sent. It has extra overhead to make this possible and is thus generally a slower delivery protocol. There is no guaranteed delivery of packets in the case of udp so it is inherently faster but not as reliable. Most VPNs, Buffered VPN included default to the faster udp. The last feature of the Buffered VPN Windows client that we want to look at is the connection options. When the client is in the disconnected state as is shown in the image on the left below, clicking on the connection options button will bring up the app configuration settings screen (center). It is here that you can toggle the port that the service uses to take advantage of open ports in firewalls. You can also toggle between TCP and UDP for packet delivery. Selecting TCP will cause the note displayed in the third image below to appear warning you that this will be detrimental to your performance. You can choose to store your login credentials for 30 days and thus you will be able to enable auto login on client start-up. Finally, you can have the service auto connect you to your last location when it starts. What is clear from using the Buffered VPN Windows client is that they have made it easy for anyone to be able to install and connect to their service regardless of their technical knowledge. What is more, they have added a few simple features like port discovery so that users can find open ports to avoid local firewalls. The polish of the GUI interface is highlighted by notes that help you with the few configuration settings that are available. Their new beta may not have some of the advanced features like kill switch but it does provide a clean easy to use interface. Just like the Windows custom software, the Buffered VPN client for Mac can be downloaded from their website. Their Mac client has similar features to the Windows one. It is easy to download and install. It is meant to run on Mac OS X Yosemite, El Capitan, Mavericks, Mountain Lion (10.8.5). It has many of the same features as their Windows client. You can easily connect or reconnect with all of the VPN servers in their network with just a click of the mouse. It also allows you to set whether the connection uses tcp or udp and allows you to choose different ports similarly to the Windows client. No custom apps exist for iOS and Android devices. The Buffered VPN service connects to iOS using the OpenVPN Connect App from the App Store. Android devices can connect using either the OpenVPN for Android or OpenVPN Connect apps which can be downloaded from the Google Play store. Once you have the respective app installed on your device, you can download the Buffered VPN ovpn configuration files from the dashboard of their website. These can be directly downloaded to your Android device. In the case of iOS, you will first have to send them as an attachment to an email account that your device has access to and then use the OpenVPN app to load them. You can find more information about configuring OpenVPN on these devices in the support area of the Buffered VPN website. Buffered VPN did well in our speed test. The speed of their server in Ashburn, VA was excellent. We found similar results when testing the UK and even Australia. You should be happy with the speed of their network for almost any application based on our testing. This test was run using the Buffered VPN Windows client using the default OpenVPN (UDP) protocol over port :443. The Blowfish 128 bit CBC cipher is used for encryption of all Internet traffic. As you can see there was a 15% difference in speed between the connection directly to our ISP and the connection to a server in Ashburn, VA. As expected their is some loss in connection speed but it is well worth it for the extra security offered by the encryption provided by their service. With a speed of just over 44 Mbps, you should be happy with the performance of the Buffered VPN service for all your Internet needs. Although Buffered VPN has been in the privacy space for only a short time, only about two years, they have a good reputation with their users. Their network is not one of the biggest but based on our speed tests, they make up for it in the quality of the servers they use. Their VPN network covers just 28 countries but they are strategically placed throughout the world. This means you can access their network almost anywhere. They use IP sharing to help keep their subscribers more anonymous. They have a no log policy with regard to individual activities while using their service. Their network only supports OpenVPN because they bellieve that it protects their uses privacy and security best and we agree with them. They have custom client software for Windows, Mac OS X, and Linux. They have just started beta testing of new clients for Windows and Mac OS X. They have step-by-step installation guides to help their users configure OpenVPN with their service on Windows, Mac OS, Linux, iOS, Android, and DD-WRT and Tomato routers. You can use the Buffered VPN service to conduct you daily surfing, your online banking, or watch your favorite movie. Their service can keep your traffic secure when using public Wi-Fi networks or overcome censorship from your local government firewalls. Our performance tests suggest that it should be suitable for all of your Internet needs. Test out their service for yourself. They offer a 30-day money back guarantee. This will allow time to review their service and see if it suits your needs. If you enjoy their service, you can sign up for unlimited access with five simultaneous connections from just $8.25 per month.